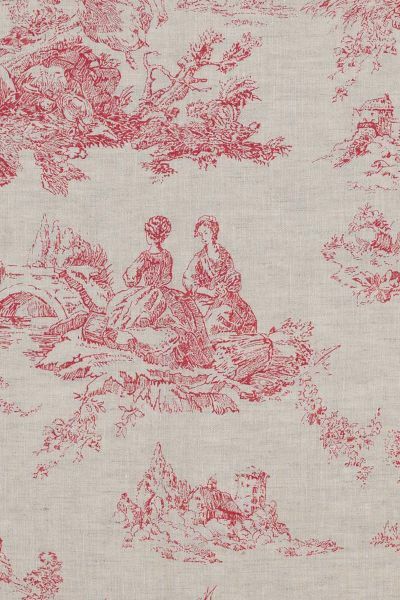 A hand drawn Toile design printed onto a natural buff coloured linen base. Delicate and unobtrusive, use in excess for an interior statement. Please note that it takes approximately 4 weeks from confirming your order for your fabric to be ready to dispatch. Vertical repeat: 61 cm approx. Made to order. Please contact us to order.